Splanchnic (visceral) mesoderm overlies the endoderm and is a layer continuous with mesoderm covering the yolk sac. 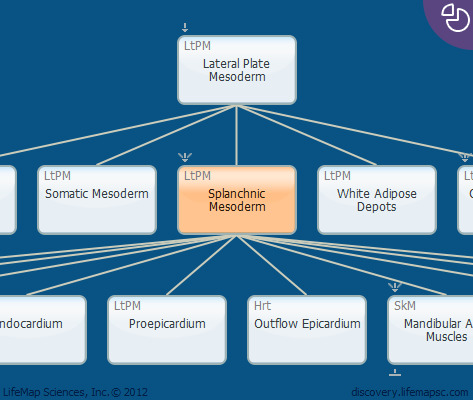 Splanchnic mesoderm gives rise to the mesothelial covering of the visceral organs. Appears at day 17 in humans.